Back in October, the U.S. Energy Information Administration put out a report on winter heating fuels. The federal administration forecasts that U.S. households will spend more to heat their homes this winter. Especially in the places that use heating oil as their main source of warmth. But trends in the Lower 48 doesn’t necessarily hold true in Alaska. It’s warm in Juneau right now. Not a lot of snow or ice on the ground. That means things are kind of slow-going over at Ike’s Fuel. So Phil Isaak had time to talk about his family’s heating fuel business and what he thought of the predictions. 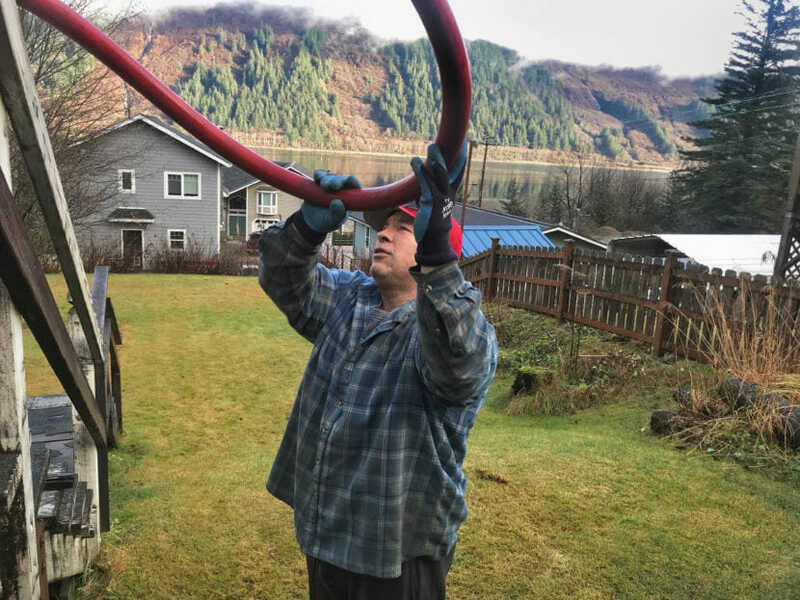 Isaak’s family has been delivering heating oil around Juneau since 1966 when his father started the business — he joked that they could have delivered milk instead. The Energy Information Administration forecasted higher costs to heat homes this winter. And people who heat their homes primarily with oil could be hit the hardest, with up to a 20 percent jump. Only about 30 percent of homes in Alaska use oil as their main source of heat. Those homes are concentrated in rural areas, Fairbanks and here in Southeast. What to do when costs go up? Isaak has some advice for Alaskans. The first thing he said is to budget for the cold years. That prediction of higher costs for winter heating fuels is based on higher prices and higher consumption of the fuel. All of that could drive winter heating costs up to their highest in four years. But Isaak isn’t really buying that. For one, he said Alaska is different than the rest of country. In Juneau, for instance, Ike’s Fuel gets a fuel barge every three weeks. That means prices are varied, but they are largely insulated from daily changes. Other rural parts of the state are similar. A lot of off-the-road-system communities rely on bulk fuel purchases, so the prices are locked in for months at a time. Isaak isn’t the only one who says Alaska is different from the rest of the country. Anchorage economist Steve Colt co-authored a 2009 study on the impact of fuel costs in rural Alaska. Colt said there are two factors that drive how much homes are going to pay to heat with fuel — the first is the price of the fuel. The second is how much the house is going to use. “So if it’s 20 percent warmer, you’re going to pay 20 percent less and if the price is 20 percent higher, you’re going to pay 20 percent more. They contribute equally to your bill,” Colt said. Colt said when it comes to heating costs, Alaska is so different from the rest of the country that it almost has its own energy market. “In many parts of Alaska, the prices are already so high that something that would push up the price of heating oil by 20 percent in New Jersey is probably not going to push it up by 20 percent in Alaska, in rural Alaska,” Colt said. Putting price aside, that other factor that determines heating cost — how much fuel a house is going to use — is largely determined by temperature. And that’s largely determined by Mother Nature. Right now, it’s not super cold here. It’s not just Juneau that doesn’t have any snow on the ground: The whole state is getting warmer. The latest National Climate Assessment came out last week, and its chapter on Alaska calls the state one of the fastest-warming places on Earth. And winter is warming faster than any other season. According to the report, the coldest days of the year here are supposed to increase by more than 12 degrees by mid-century. That could mean lower heating bills all around.